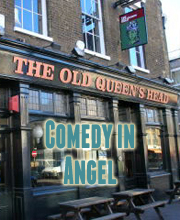 Laugh Out London is never shy to hop on a bandwagon (they are after all the most comfortable kind of wagon), so we are delighted to announce we will be in Angel Comedy’s new venue for a night of Pokémon related stupidity. Get your £4 ticket here! P.S. This show will be pretty stupid.